Christian Serratos is an american actress playing the role of Rosita Espinosa in the blockbuster TV series Walking Dead. She is best known for portraying Angela Weber in the popular movie franchise Twilight, New Moon, Eclipse, and Breaking Dawn. Christian Serratos is one of People Magazine’s 100 Most Beautiful People 2009 and ranked #65 on the Maxim magazine Hot 100 of 2010 list. Christian Marie Serratos was born September 21, 1990 in Pasadena, California and raised in Los Angeles. at a young age of 8, Serratos decided to be a vegetarian. She posed for PETA’s campaign in November 2009. Along with Sgt. Abraham Ford and Dr. Eugene Porter, Rosita Espinosa is one of the three characters from the Walking Dead comics who first appeared in the TV series on it’s 10th episode (Inmates) for Season 4. Rosita Espinosa is traveling with Ford and Porter towards Washington, D.C. 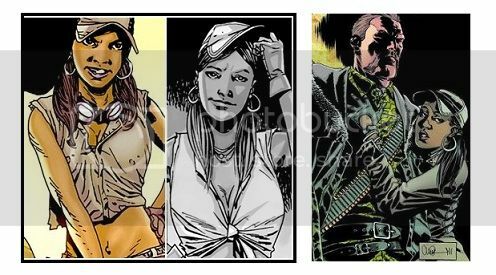 In the comics version, they met Rick and the other survivors at the Greene Family’s farm. Rosita is Sgt. Abraham Ford’s love interest. Enable to survive, Rosita had resorted to pleasuring men she met in return for protection, until she met up with Abraham. Ultimately, his kindness and protection made her fall in love with him, and the two soon initiated a romantic relationship.